Pro-Abortion Group Uses Adorable Baby in Most Disturbing Ad Imaginable | What Did You Say? Not really the most effective advertising, no? Well, at least the calf had a chance to live and at least it’s livestock — which means, you know, something that’s being raised for meat. And that very much means it’s not a human life that’s being talked about. If only the hypothetical ad agency that hypothetically dissuaded Rudy’s House of Veal from running that hypothetical creepy TV spot had hypothetically gotten in contact with pro-abortion advocates, maybe we wouldn’t be stuck watching what might be the most bizarre, amoral, counterproductive and macabre pro-abortion advertisement that’s ever been cobbled together. According to LifeSite News, the ad was created in 2015 by the pro-abortion Agenda Project. The spot opens with a picture of an adorable, giggling baby with stock music-box soundtrack behind it. It looks, in fact, like the beginning of at least 72 percent of diaper ads. The screen then goes black. “She deserves to be … loved,” the white text reads. Well, of course she does. I mean, you could say that for any child, especially one this cute. So then we get more baby and more lullaby music. Fade to black again. While the video is three years old, it recently made the rounds on social media again — and sparked plenty of outrage. My fingers are frozen, as if they don’t know what affront to our common humanity to type about first. There’s so much revulsion vying to get out it’s like 22 people trying to jam their way through one turnstile. “See this baby? If it’s yours, you should have been able to kill it.” Yes, that’s a cynical view of it, but certainly not an incorrect interpretation. Let’s also keep in mind the most shocking thing about this clip — the pro-abortion side is actively admitting here that a baby is a baby. 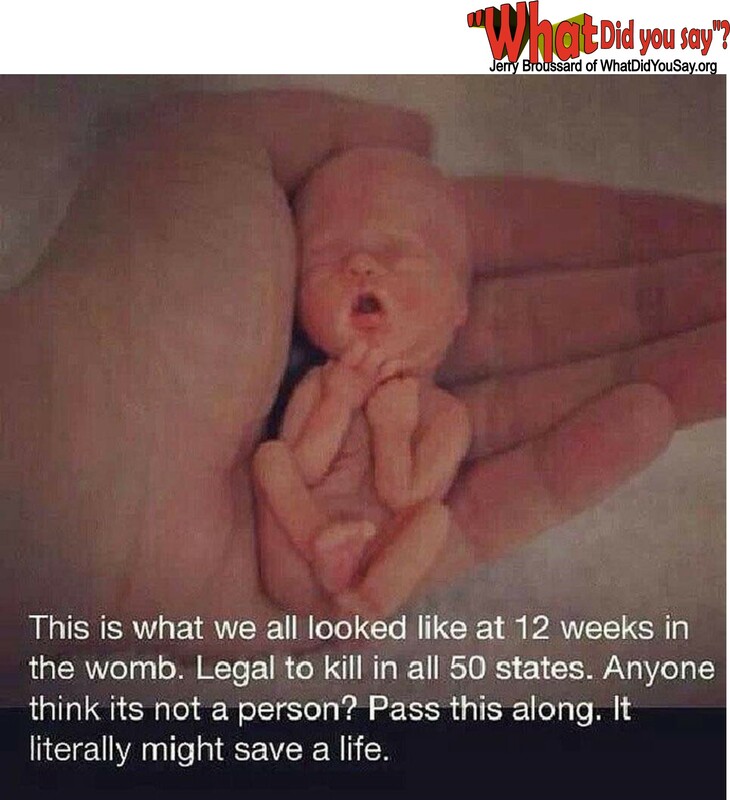 The image presented to you isn’t just a “clump of cells.” It’s a human being — and it’s a human being whose right to exist ought to have been up to you, they’re saying. I mean, I wholeheartedly agree with everything but that part about the choice, but I wasn’t under the impression that the Cecile Richards regiment of the American left was actively trying to forward this line of thinking. Beyond examining the semiotics of using a child to convince Americans that unborn children ought to be killed, let’s talk about the visceral effect of this ad. You present a cute, healthy baby girl and then make an argument she doesn’t have to exist if you don’t want her to. Is everyone on the “pro-choice side” so far gone that nobody had the common sense to talk someone in a position of power out of releasing this? Did anyone involved with this abomination think those without strong feelings about the ethics of abortion were going to see this and take Planned Parenthood’s side? Without showing the grisly horrors of the procedure, I couldn’t have made an ad more damaging to the pro-abortion cause than this. 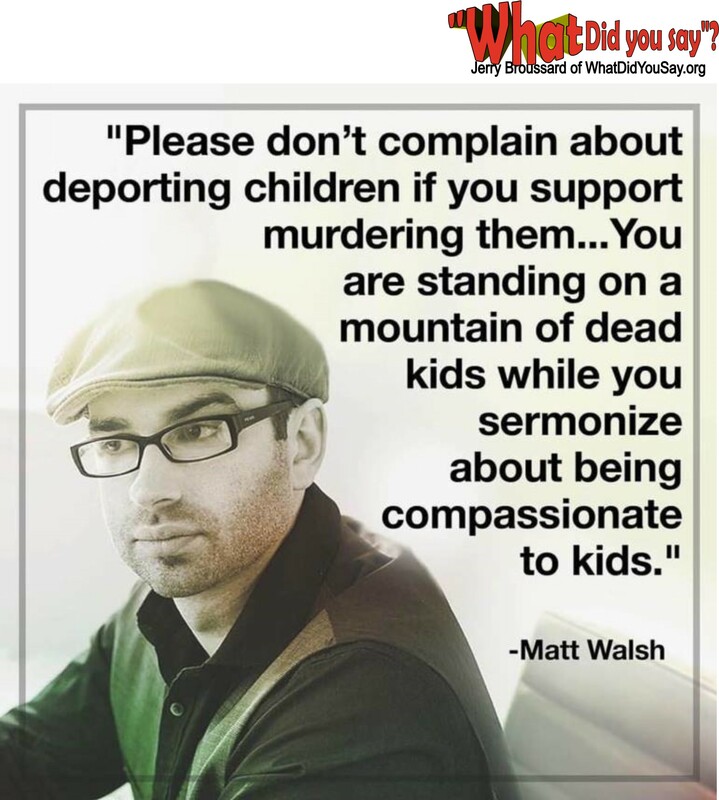 That a pro-abortion group released this in support of their cause is evidence of moral rot far beyond anything I could have imagined. I thought there was almost nothing that could surprise me about the perfidies of America’s abortion industry. Thanks for proving me wrong, I guess.